Our thanks to everyone who responded to last week’s note regarding Lafleur. It seems not to be too widely held a in wine investment terms but hereafter we could be seeing more of it in portfolios around the world. A frequent question asked whether any of the Left Bank wines could match the outperformance of Lafleur, and the answer is a resounding yes. 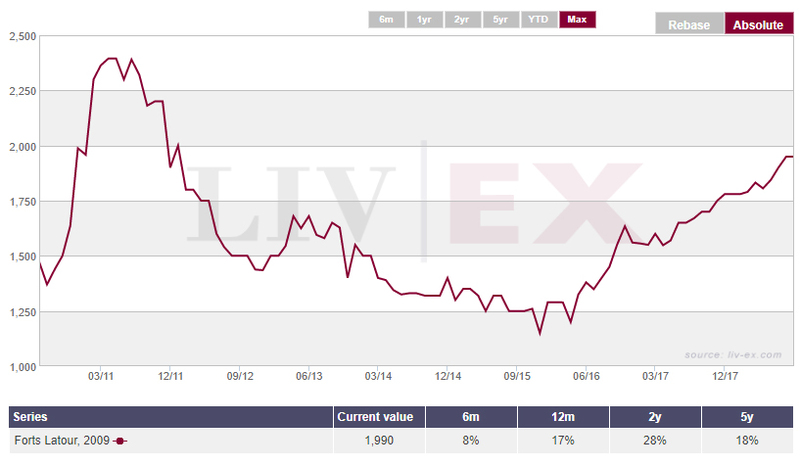 Whilst the majority of both Left and Right bank vintages have risen roughly in line with the Liv-ex 100 over the study period, the Second Wines have become a law unto themselves. With the exception of Forts Latour whose average rise is at 16% more or less in line with the index, the other 4 are all streets ahead. Why might Forts be underperforming? Amphora is on record as saying that Latour is doing itself no good at all with all these ex chateau releases. Whilst we understand its withdrawal from the en primeur circus it is notable that no-one else has followed suit. Furthermore, with every ex chateau release it shoots itself in the foot, most recently with the issue of Forts 2009 earlier this month. Now, however, this illustrious house thinks a new tranche is going to find a home around that mark, a full 20% premium on the in bond secondary market price. Let’s just say that buyers of such releases aren’t in it for the investment return and leave it at that. Significantly, in our view, all the other Second Wines have moved ahead to a much more vigorous degree. Clarence Haut Brion vintages over the time frame are up on average 27%, as are Pavillon Rouge du Margaux. Carruades de Lafite averages 29% whilst Petit Mouton leaves everyone in its wake at 37%. This even matches the Burgundy sub index, and there is much more comforting liquidity behind the rise in Petit Mouton. There are several questions arising from these statistics, but two to begin with might be: why are the Second Wines outperforming the First Growths to such an extent; what has Petit Mouton got that the others might not have? We looked at the first question in these pages back in July, so let us now consider the second. In algorithmic terms, Petit Mouton is actually a relative non-starter. Against Carruades, Forts and Pavillon Rouge it would occupy 13 of the bottom 15 slots for all vintages going back to 1999. Something else clearly motivates buyers of the label. What we have tended to believe since the market opened out in Asia over the last ten years is that buyers have flocked towards recognisable labels at affordable prices. No-one in their right mind would suggest that the Asian market at its upper echelon is not the equal of any Western counterpart, indeed you could easily argue that the market for the more expensive Burgundies is precisely in Asia nowadays, but there is a mass market to take account of over there which might dwarf anything elsewhere in the world. Earlier this year the giant Alibaba group struck a deal to help market Mouton Cadet into China, and whilst that particular tincture is a far cry from Petit Mouton there is a branding exercise going on which can only percolate up through the food chain. 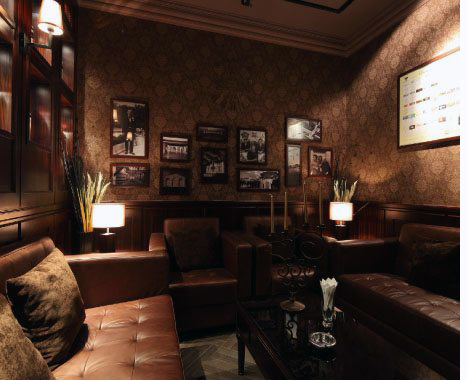 There is an argument that the Rothschilds have taken China more seriously and for longer than most – back in 2010 Baron Philippe’s partner and importer Torres China was behind the opening of the Mouton Cadet wine bar in Guangzhou with a private room specifically designed to expand the reach of Rothschild names. The Lafite brand name was adopted early in the Asian love affair with fine wine but as the base of the consumption pyramid has expanded at such a rate it may be that the price impact has been felt more at the lower end, resulting in superior performance of the less expensive wines. Petit Mouton 2009 with a market price of £2,380 is up 120% over 5 years against Carruades 2009 (market price £2,750) rise of “only” 52%. As noted earlier, much of the market for the more expensive wines sits in Asia. We wonder if Asia might be behind the elevated price tag enjoyed by Mouton 2000? It certainly takes a lot of obsession to want to pay £1,600 (in bond) for a bottle, not to mention £2,700 at Hedonism or £3,650 in Harrods! The wind is very much in the sails of the Second Wines currently but there will come a point when the outperformance starts to evaporate. We wouldn’t exactly be overloading new portfolios with them at this juncture, and before the momentum shows signs of slowing down we would start to taper exposure gently.